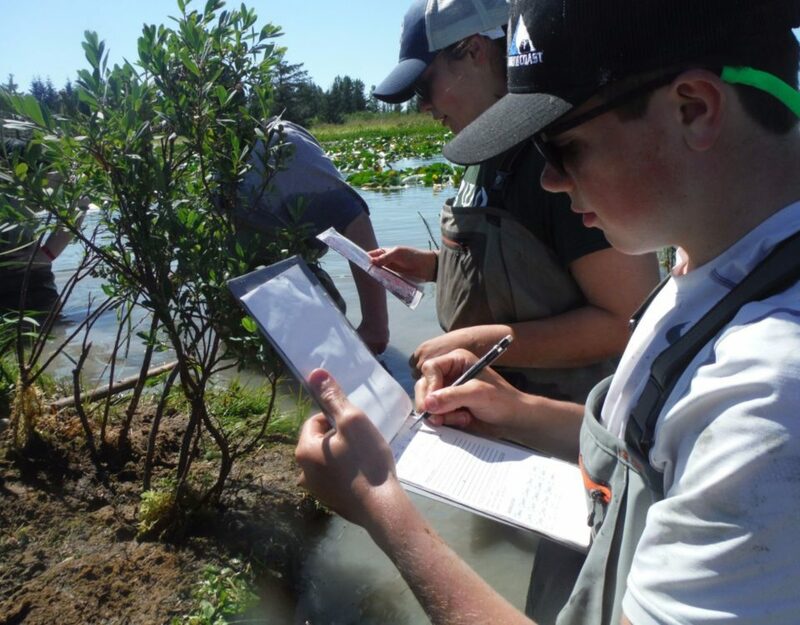 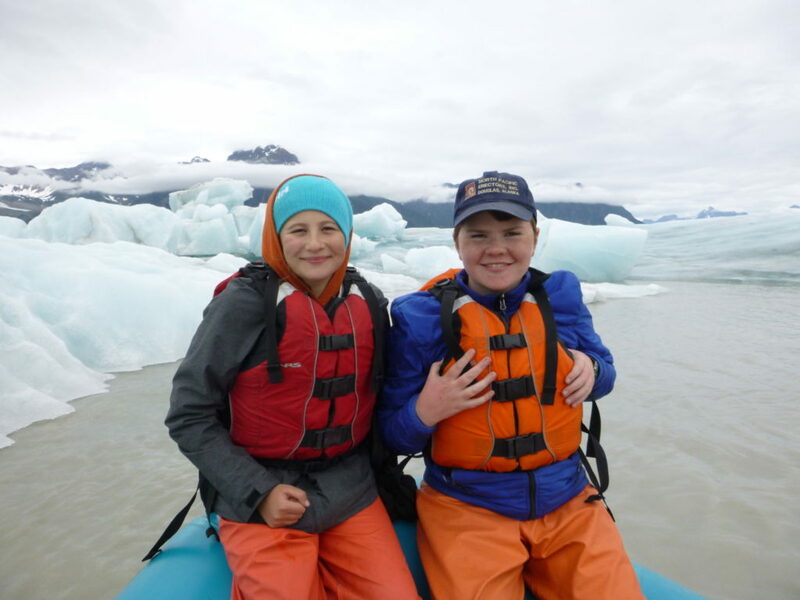 During the first week of July, the Copper River Stewardship Program—comprised of 10 high school students from Cordova and communities further up the Copper River—traveled throughout the watershed learning about the various ecosystems and the organisms that inhabit them. 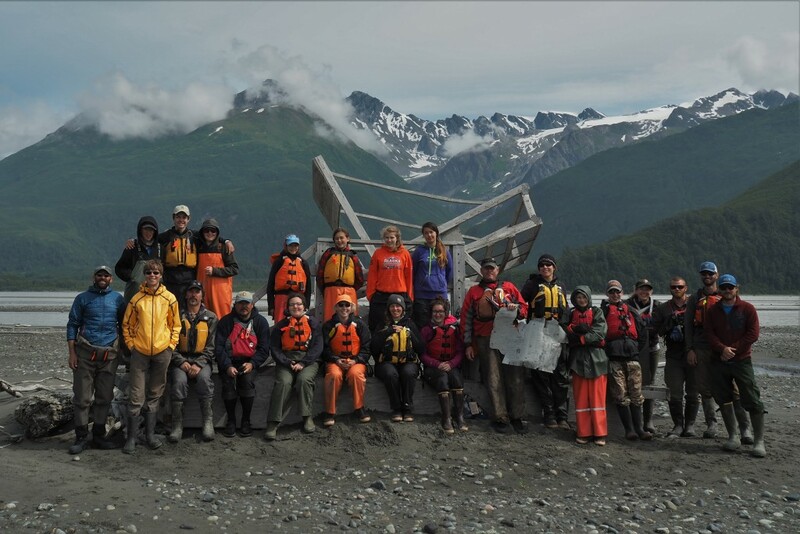 The group canoed on Alaganik Slough to the U.S. Forest Service Pete Dahl research camp to learn about wetlands and complete maintenance on artificial Dusky Canada Goose nest sites. The group also hiked through the rainforest on the Heney Ridge trail and spent time working on a video project. We All Live Downstream includes student-collected interviews, photos, and creative writing pieces from the trip. 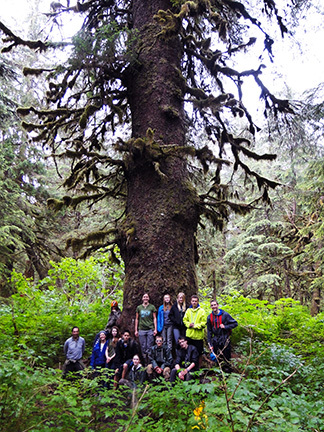 Participants pause to admire the giant old growth trees of Cordova’s coastal temperate rainforest.